NHS staff are to be asked for their ideas about how to improve the service, with the RCN urging nurses to participate to give ministers an 'accurate picture'. Being equipped for the job. Having access to training and development. RCN England director Tom Sandford urged staff to submit their views to provide ‘ministers with an accurate picture of what is happening in people’s working lives’. But he said the platform could not be a substitute for raising concerns with managers and said if ministers failed to act on staff's suggestions, the platform risked being just a ‘talking shop’. 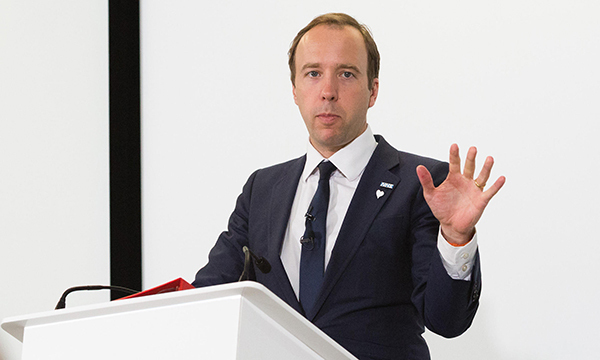 Mr Hancock announced plans at last week's at NHS Expo in Manchester to improve the health service’s IT and its ability to embrace new technology. He said in-house teams would manage small contracts, instead of big consultancy firms selling trusts their technology and then ‘marking their own homework’. On a personal note, Mr Hancock used his Bristol speech to thank staff at Southmead Hospital who cared for his sister last year after she sustained a serious head injury. Health and social care secretary Matt Hancock used his Bristol speech to promise action on assaults and bullying in the NHS. The minister expressed concern about the levels of assault, harassment and bullying experienced by NHS staff. He said the issue would not be ‘put in the too difficult pile’. He said body cameras have been issued to 465 ambulance crews in England and said NHS Improvement would work to improve staff's access to free mental health services.